The book, The Gift of Dyslexia was first published in 1994, and has been translated in more than 20 languages. Ronald Davis’ groundbreaking view of dyslexia has influenced educators and researchers worldwide, and Davis Facilitators are now offering the program in more than 40 countries, in more than 30 different languages. This page lists many of books now in print which discuss or explore the Davis program or the ideas presented in The Gift of Dyslexia. Attebery, Kelly Ann. The Story of Evee's Sister: Playmaginating Dyslexia CreateSpace. 2010. Bennett, Julie. Dyslexia Pocketbook Teachers' Pocketbooks. 2006. Bogdashina, O., and J. Siebelink. Waarneming en zintuiglijke ervaringen bij mensen met autisme en Aspergersyndroom Garant. 2004. Butz, Curt. The World I Dream Of O Books (Hants, UK). 2010. Christo, Catherine, John Davis, and Stephen E. Brock. Identifying, Assessing, and Treating Dyslexia at School Springer. 2009. Di Lauro, Anna. Ho mal di scuola! Armando Editore,. 2012. Donnelly, Karen. Coping with Dyslexia The Rosen Publishing Group. 2000. Eide, Brock, and Fernette Eide. The Mislabeled Child Hyperion. 2007. Freed, Jeffrey, and Laurie Parsons.. Right-Brained Children in a Left Brained World Simon and Schuster. 1998. Golon, Alexandra Shires. Visual-Spatial Learners Prufrock Press. 2008. Graham, Yvonna. Dyslexia Tool Kit for Tutors and Parents: What to do when phonics isn't enough CreateSpace. 2012. Hale, Alison. My World is not Your World Archimedes Press. 1998. Hall, Sue Blyth. Fish Don't Climb Trees: A Whole New Look at Dyslexia FriesenPress. 2015. Halla-Poe, Dorothy. A Matrix Model Approach for Children with Atypical Behaviors Media Creations. 2003. Hayes, Lenore C. Homeschooling the Child with ADD (or Other Special Needs) Prima Lifestyles. 2002. Heim, Günther. 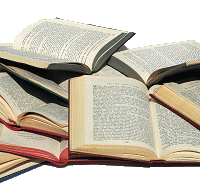 Denn das Schreiben und das lesen BoD  Books on Demand. 2008. Hoi, Barbara. The Right Brain for the Right Time: Unlock the Dyslexic Potential and Transform from a Frustrated Reader to an Inspiring Leader CreateSpace. 2013. Hoi, Barbara. Learning Your Times Tables - In Three Bold Steps: Making Multiplications Easy for Visual Learners Amazon Digital Services. 2016. Hoi, Barbara. Adapted from a work by Frances Hodgson Burnett.. Nurturing the Secret Garden: A Guide to Reading Mastery CreateSpace. 2014. Jantzen, Cornelia. Dyslexia: Learning Disorder or Creative Gift Floris Books. 2009. Kees P. van den Bos. Developmental Perspectives in Written Language and Literacy . 2017. Kurtz, Lisa A.. Understanding Controversial Therapies for Children with Autism, Attention Deficit Disorder, and Other Learning Disabilities Jessica Kingsley. 2008. Macdonald, Stephen James. Towards a Sociology of Dyslexia: Exploring Links Between Dyslexia, Disability and Social Class Stephen James Macdonald. 2009. Marshall, Abigail. The Everything Parent's Guide to Children with Dyslexia (2nd Edition) Everything Books. 2013. Marshall, Abigail, and Vincent Iannelli. When Your Child Has . . . Dyslexia Adams Media Corp.. 2009. Maxwell, Betty; and Crystal Punch. Picture It! Teaching Visual Spatial Learners CreateSpace. 2012. Mercogliano, Chris. Teaching the Restless Beacon Press. 2003. Nyíri, János Kristóf and Tamás Demeter. Essays on Wittgenstein and Austrian philosophy Rodopi. 2004. Orenstein, Vik. Photographer's Market Guide to Building Your Photography Business Writer's Digest Books. 2004. Papolos, Demitri F., and Janice Papolos. The Bipolar Child Random House. 2002. Patton, Sally. Welcoming children with special needs: a guidebook for faith communities Unitarian Universalist Association of Congregations. 2004. Pavey, Barbara. The Dyslexia-Friendly Primary School Paul Chapman. 2007. Peer, Lindsay, and Gavin Reid. Multilingualism, literacy and dyslexia: a challenge for educators David Fulton. 2000. Poole, Jennifer. Decoding Dyslexia Troubador Publishing. 2008. Reid, Gavin. Dyslexia: A Complete Guide for Parents Wiley. 2011. Shahar, Guy. Transforming Autism: How One Boy's Life Was Renewed CreateSpace. 2016. Silverman, Linda Kreger. Upside-Down Brilliance: The Visual-Spatial Learner DeLeon Publishing. 2002. Smith, Joan M. You Don't Have to Be Dyslexic Learning Time Press. 1996. Stowell, Jill. At Wit's End: A Parent's Guide to Ending the Struggle, Tears and Turmoil of Learning Disabilities CreateSpace. 2010. Temple, Robin. Dyslexia: practical and easy-to-follow advice Element. 1998. Théano Panagiotopoulou. La dyslexie et la relation pédagogique Éditions Vie. 2018. Valet, Carol; Carol Nelson; Jennifer Delrieu; and Claudine Gardères. SOS mon enfant est dys Hachette Pratique. 2017. Vittles, Jacqui. Dyslexia: An Amazing Discovery Eloquent Books. 2009. Wenger, Ruth. Alphaskills Campus Verlag. 2005. Willis, Mariaemma, and Victoria Kindle-Hodson. Discover Your Child's Learning Style Learning Success Institute. 2013. Wood, Tracey. Overcoming dyslexia for dummies For Dummies. 2005. Wyseur, Chantal. Le cerveau atemporel des dyslexiques : Les comprendre et les aider Desclée de Brouwe. 2009.